(above the Newsagency) for Term 2 this year, for 2017. I will be running a 9 week Certificate Accredited Course. I will be focussing on the Translation of Number Into Art for all classes, all of which are very important topics for the budding genius. that teaches the translation of Number Sequences into Atomic Art. 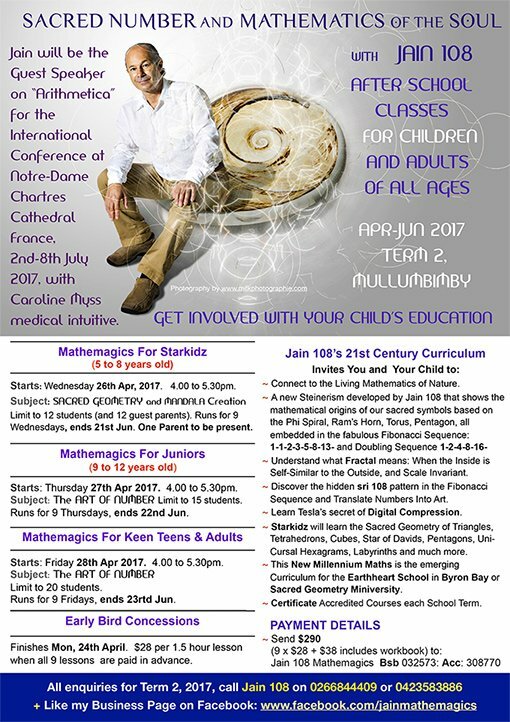 The Joy Of Numbers Institute, its website is being constructed now. 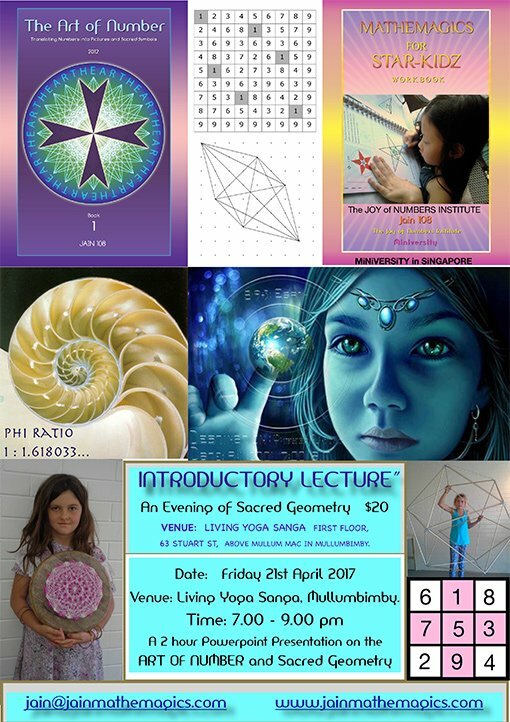 Learn the Sacred Geometric Secrets known to Leonardo Da Vinci. * Translate Numbers Into Art. When the Inside is Self-Similar to the Outside, and Scale Invariant. * Certificate Accredited Courses each School Term. (this is the Early Bird date) otherwise individual classes are $32 each. Starts Wednesday 26th April, 2017. 4.00pm to 5.30pm. Limit to 10 students. 9 Wednesdays in Apr-Jun. One Parent must be present. Starts Thursday 27th April, 2017. 4.00pm to 5.30pm. Limit to 15 students. Starts Friday 28th April, 2017. 4.00pm to 5.30pm. Limit to 20 students. * A Workbook for all classes is supplied, valued at $38. * Certificates are given to all students who complete this 9 week course. All 9 classes must be paid in advance. total of 9x$32 + $38 workbook = $326). Earlybird Registrations = $290 before the Monday, the 24th April.